Do you know that loving nature is loving life. 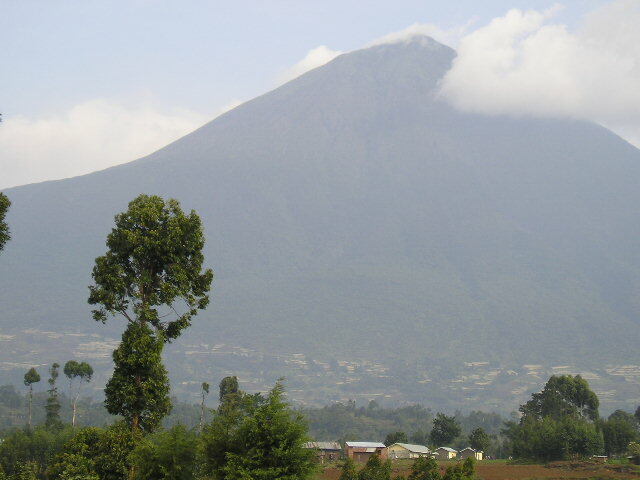 Come to Rubanda and see the mountains that inhabit the fore fathers of all Gorillas in Africa. Next to this mountain is the Bwindi impenetrable forests that are a seat of giant Chimpanzees, unbeatable elephants and baffles. You will be amazed to find even the oldest species in-there. If nature is still your quest, come and climb this mountain. You will enjoy the top that glances you over Western Uganda across Rubanda, over the thick forests of Katanga in DRC in the west over Rwanda in the South to Tanzania. At the foot of this mountain commonly are the Bafumbira and Batwa tribes served by Kisoro town for administrative and economic purposes. Rubanda Solidarity nursery/Primary school kids and staff enjoy annual school tours to this Mt.depending on affordable means of transport. Its a learning hobby for our kids. Please do not hesitate to contact us if you enjoy tracking Gorilla mountains, Chimpanzees, elephants, Zebras and more. Its also gracing to enjoy Bakiga, Bafumbira and Batwa traditional dances around and at the foot of this mountain. Just post a comment to us using the window below, click enter and there you're for a connection and more information.